The Small Form Factor Pluggable Double Density (SFP-DD) Multi Source Agreement (MSA) Group has developed a new hardware specification and drawings for a double layer pluggable interface to networking equipment. Targeting support optical modules up to 3.5 W, the SFP-DD form factor addresses the technical challenges of achieving a double-density interface and ensuring mechanical interoperability for module components produced by different manufacturers. The SFP-DD electrical interface expands on the existing SFP pluggable form factor, a widely adopted interface used in data centres and other networking platforms. The SFP single lane interface operates up to 28 Gbit/s using NRZ encoding or 56 Gbit/s with PAM-4 encoding. The new SFP-DD electrical interface is designed to support two lanes that operate up to 25 Gbit/s with NRZ or 56 Gbit/s with PAM-4 per lane, providing aggregate bandwidth of 56 or 112 Gbit/s. Doubling the lane density and data speed addresses the demand for increased port density and scalability in next-generation applications, with a primary focus on the server side interconnect. An SFP-DD server port along with QSFP-DD switch ports provides an overall doubling of the port density in network applications. The SFP-DD hardware specification and drawings define key module, plug, and cage characteristics as well as heat sink options for thermal management. SFP-DD-based modules and direct-attach cable plugs will use a common mechanical outline and provide a means to self-lock with the cage upon insertion. 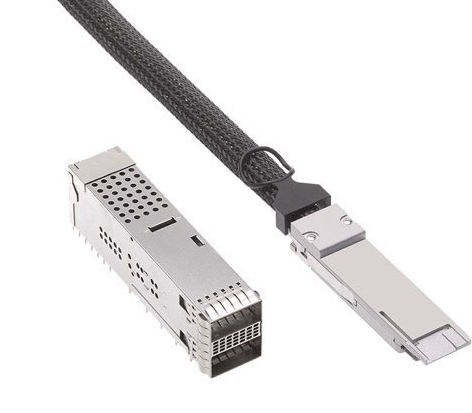 But network equipment based on the SFP-DD will also support legacy SFP modules and cables, and new double density products, for optimal design flexibility. SFP-DD MSA founding members include Alibaba, Broadcom, Brocade, Cisco, Dell EMC, Finisar, Hewlett Packard Enterprise, Huawei, Intel, Juniper Networks, Lumentum, Mellanox Technologies, Molex, and TE Connectivity.